China is a country whose growth is unmatched in pretty much everything. Sadly, one area where that explosive growth strains the country's resources is in food production. Due to the country's swelling population, food production is at an all time high. As a consequence, corners tend to be cut during production, and the results are not pretty. Back in 2010, authorities discovered huge quantities of rice noodles were made with rotten grain and potentially poisonous additives. Specifically, 50 factories in southern China near the city of Dongguan were manufacturing the tainted noodles. Authorities estimated that at the time, up to 1.1 million pounds of noodles were being made everyday by these factories before they were shut down. In 2009, 53,000 Chinese babies and children were sickened by milk that had been "enhanced" with the chemical melamine. Melamine is bad news for humans, and is similar in composition to cyanide. Four infants ultimately died because of the tainted milk. It's thought the melamine was added in an attempt to increase the protein content of the milk. In 2011, a woman bought a pound of pork for dinner. She forgot to put the leftovers away and woke in the middle of the night for some water. 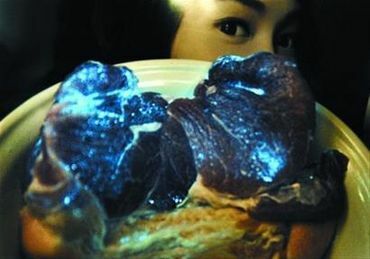 That's when she noticed the pork was glowing blue on the table. Analysis by local food safety officials found that the pork was contaminated with phosphorescent bacteria. Yuck. 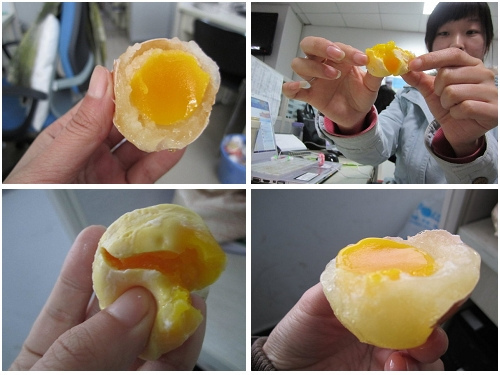 Using a mixture of industrially fabricated ingredients, some food companies in China were able to sell fake eggs. The fake egg is made up of gelatin, water, and food coloring. The fake shells were made from wax. I really hope not too many people ate these. 5. Walnuts Filled With Cement. This is an ongoing food scandal in China. Thieves looking for a quick buck go around and collect empty walnut shells. They then fill the inside with concrete and paper and glue it shut. It sounds risky, but it can pay off handsomely for the thieves if they do it right. The price of real walnuts has increased dramatically in China over the years, and demand has only gone up. Over the last few years, more than 900 people in China have been arrested for trying to pass off rat meat as something else. The rat meat is mostly sold as beef and is produced under extremely unsanitary conditions. According to police, it's common for thieves to use banned chemicals to process the meat and inject water to increase its weight. 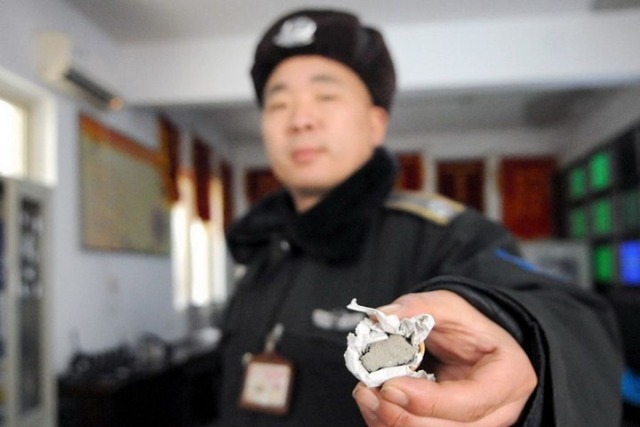 In 2011, regional media began reporting on a new food scandal happening in the Chinese town of Taiyuan, in the Shaanxi province. According to articles from the time, the fake rice was a mixture of potatoes and plastic, and was sold in the town. An official from the Chinese Restaurant Association confirmed the story and conducted an investigation to find who was making the fake rice. If there is one food category in China with a ton of fakes, it's wine. Many counterfeits are nothing more than cheap fruit juice with expensive-looking labels. These thieves take advantage of newly monied consumers who don't know the first thing about wine. Not even street food in China is safe from scandal. In 2007, a Chinese newspaper ran a story about street vendors in Beijing stuffing their pork buns with cardboard. The vendors allegedly soak the cardboard in chemicals to soften it, mix it with pork fat, and stuff it in the buns. That does not sound like a tasty recipe. I'd love to visit China, but these constant, deadly food scandals really give me pause. It's not that I'm opposed to eating McDonald's for an entire vacation, it just doesn't sound too enjoyable.